When it becomes difficult to make the payments on your bills you can sometimes contact the company or utility and arrange a payment plan. Even if they are not open to that concept, consider whether equal monthly billing for utilities would help. 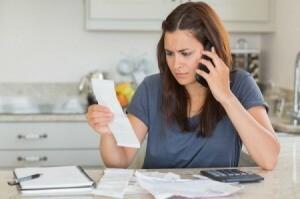 This is a guide about negotiating payment plans for bills. When dealings with your bills, remember; everything is negotiable, even (or maybe even especially) utility bills. I have lived in the same place for, 20+ years with the same account so I find that I can negotiate payments for my phone, gas, electric, etc. Always ask for a payment plan! Lucky you. One month it was really a hardship to pay the entire electric bill and I went over and talked to them and asked if I could pay half then and the rest later in the month. They said no. I've lived here 45 years. Editor's Note: There are sometimes laws that make it illegal to do this, especially during winter months. With the privatization of utilities in many states though, this may have changed in a lot of areas. HI, YOU ARE VERY LUCKY! WE LIVE IN FLORIDA ,THERE IS NO EXCEPTIONS! NO PAYMENT, NO POWER! I have budget billing with FPL and it is wonderful! You average the same amount all months and they make slight adjustments for credits and or overages over time.